On 14 May, 2018 some big cheeses will descend on a small town in Wairarapa for the second Great Eketahuna Cheese Festival. Put it in your diary, I hope to see you there! The Eketahuna festival is set to become New Zealand’s alt-cheese event, headed up by two Kiwi cheese rebels, raw milk cheese pioneer Biddy Fraser from Cwmglyn (said coom-glin) Farmhouse Cheese (above) and Auckland cheesemonger Calum ‘Curd Nerd’ Hodgson (below). 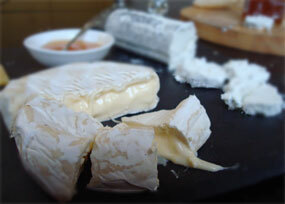 Their aim is to bring together small cheese-makers, industry experts and enthusiasts for an extravaganza of cheesey chat. The Eketahuna Community Hall will be packed with stalls of artisan cheesemakers selling products, as well as forums and seminars, including a cheese tasting session followed by a dinner. Two years ago, at the first festival I loved the energy, passion and debate of our small-scale cheese industry. I’m looking forward to the festival this year. Check out and Like the Festival’s Facebook page and keep an eye out as the event takes shape. Is this really on a monday? Oh you must come Sheila! You will be able to meet Kiwi artisan and small cheese makers. There will be some larger ones like Over the Moon and Mt Eliza. Ekatahuna is about 20 minute drive from Masterton. It is a small yet iconic town, nestled in the foot hills of the Tararua mountain ranges. It can be a little cold so bring a coat! It will be a great event and small enough so you will be able to meet cheese makers. I hope to see you there.